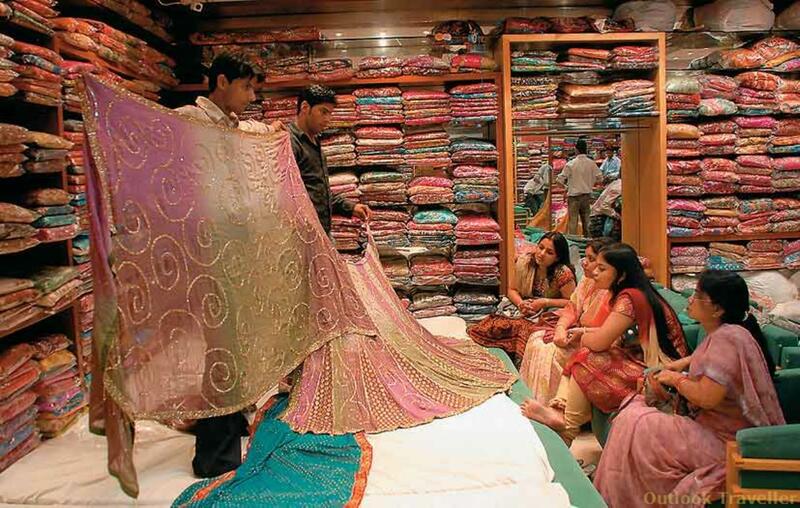 Jaipur is considered a city of artisans. Major shopping arcades are located near the Amber Fortress. There they sell traditional clothes, dolls, pottery and ceramic tableware, jewellery, carpets, fabrics, edged weapons, cosmetics, sweets. However, traders fix high prices for tourists. Those who want to save, shall look for special stores or contact the artisans directly. 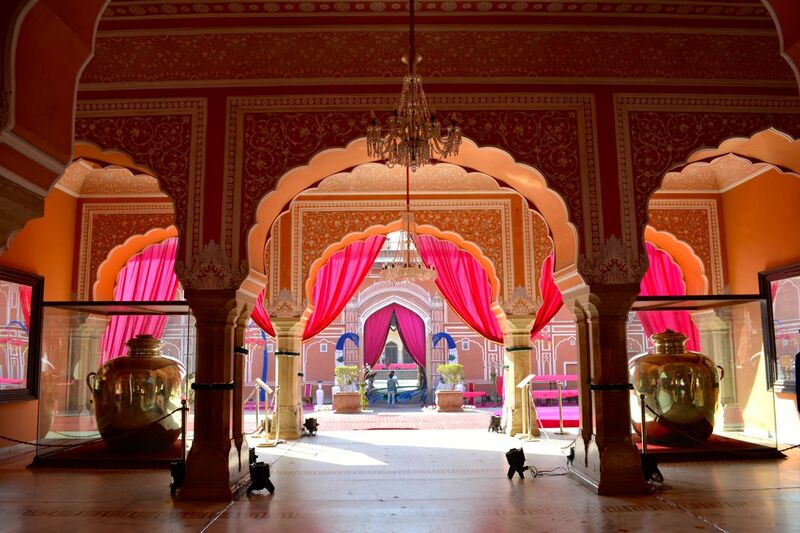 In Jaipur there are certain quarters of jewellers, weavers, painters, armourers. It is noteworthy that every fifteenth tourist buys a carpet there. In total annually in Jaipur they produce up to 5 million square meters of carpet products, and sell them for the amount from 3 to 5 million dollars. Those who crave for glittery things, shall visit the Muslim quarter. Unofficial bazaar of precious and semi-precious stones operates there. Not processed, brought from various parts of Asia, they are sold literally out of pockets at a very attractive price. Jewellers make purchases there and immediately start processing the gems in nearby artisan workshops. Then, in the Hindu quarters they make the stones perfect, framing them with gold and silver. By purchasing ready-made products there, you can save more than couple hundreds of dollars. It is advisable to buy thinnest silk with an amazing Indian ornament from textile factories. Producers sell fabrics at 6-8 dollars per square meter. A short distance away from the City Palace building there is no less fascinating construction - Jantar Mantar Observatory. It is listed among 80 wonders of the world. Built in the middle of the 18th century by Maharaja Sawai Jai Singh, it consists of fourteen geometric devices and still can show the current time, the movement of planets and stars. Each part of the Observatory was created for specific measurement and is distinguished by enormous size. 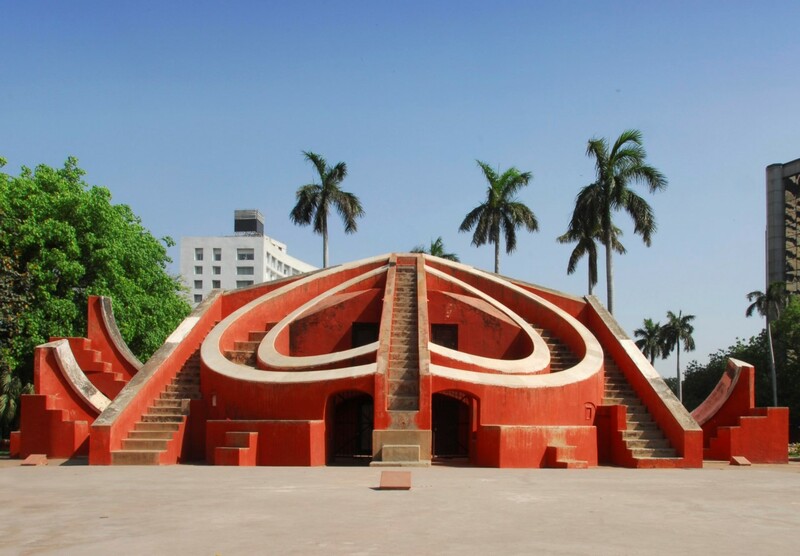 For instance, a sundial Jantar Mantar is as tall as four-story house, and considered the largest sundial in the world. Once upon a time there worked many astrologists. They created horoscopes for the townspeople, watched luminaries, predicted monsoons. One of the devices, invented by the Maharaja, served to determine auspicious days for weddings. It consisted of two hemispheres, each of which includes six marble slabs, and a ring in its centre. The shadow of it points to a favourable day. 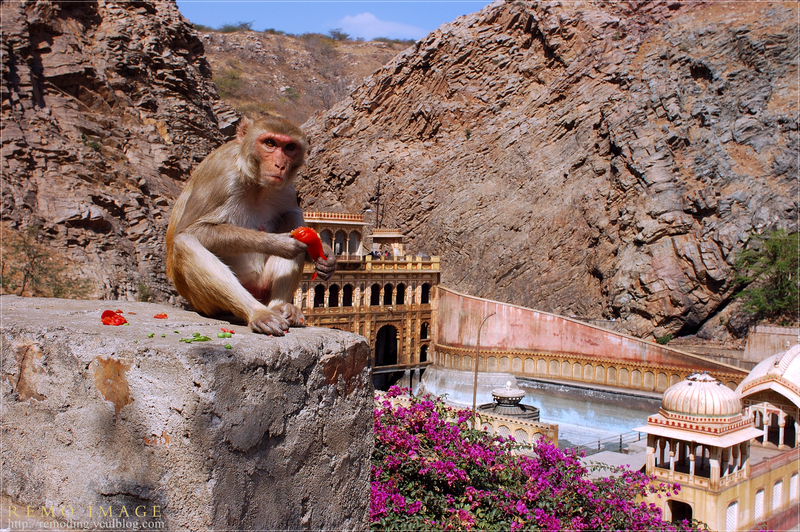 There is one more amazing building on the northern outskirts of the city: the Monkey Palace, or Temple to worship these animals, anchored on a fairly steep hill. According to official figures, its vicinity includes population of about three thousand monkeys, but tourists who have visited this place claim that thieving and brisk mammals are much numerous there. They run, jump, scream, fight, they lure meal, nibble nuts, comb each other and make love in front of passers-by. Frequently, the red-bottom ones grab tourists’ trousers and grin. They stick mostly to visitors. Monkeys try to avoid Hindus, as they chase them away with sticks. Communicating with shaggy beggars, it is better not to make any sudden movements, not to turn your back to them, and to hide shiny jewellery and watches in advance. But most of monkeys are not dangerous, on the contrary, peace-loving and spoiled by much attention. Tourists often fed them with goodies, and they happily take food from hands and pose for photographers. Jaipur and its surroundings feature many fascinating buildings, thus, travellers spend here a few days going round in tuk-tuks, riding elephants, or hiking. Yet, many visitors try to come for at least a short time to see a baori stepwell. One legend says that this well was dug in Jaipur within one night by some ghost, as it was ordered by the chief magician. 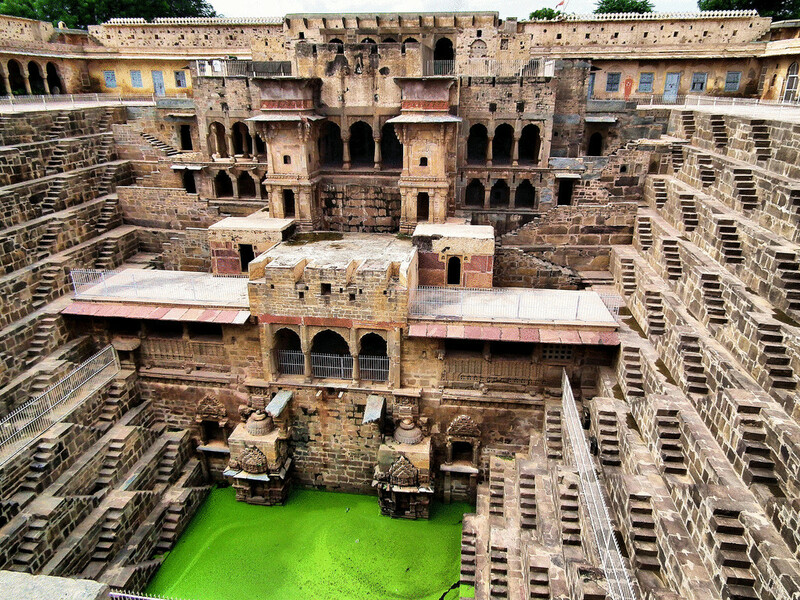 In fact, an enthralling stepwell of Chand Baori was built during the reign of Raja Chand. The total depth of the staged well is almost 20 meters, it is rectangular in shape and is surrounded by terraces. On three sides, each of the thirteen tiers has a cut stage in two rows and niches have statues of gods Ganesh and Durga. Chand Baori Well, like many of his counterparts, during the monsoon gets filled with rain water that is retained in the tank for a few months. Jaipur residents claim that a few coins thrown into the well guarantee many years of a happy life for the donor.